Welcome to Asissi. Ruth Davis, founder of Assisi Retreats is seen here with Paolo Bastianini, owner of the Boutique Hotel that all the guests stay in. 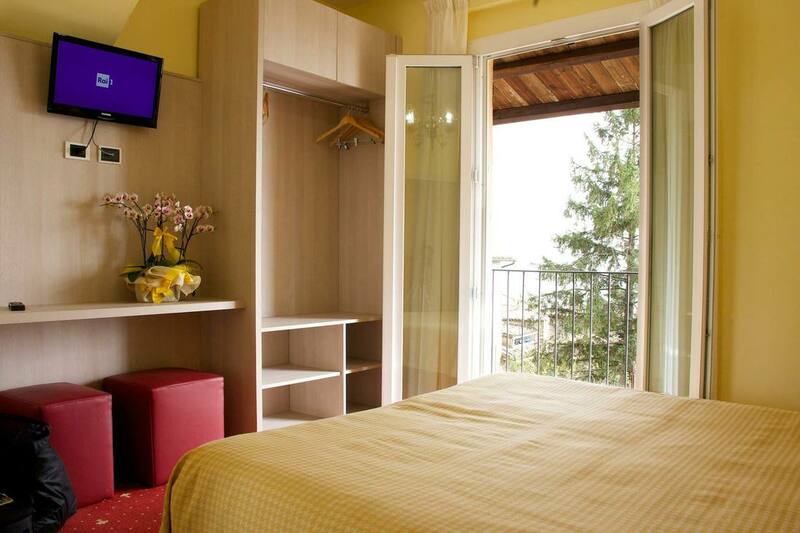 It is located only 50 meters from the center of Assisi and Piazza del Comune. When you arrive you will be greeted by Paolo or one of his family members Paola his wife, Emanuele his son or Francesca his daughter in law. These lovely caring people take care of your every need upon your arrival. If you need anything for your room, or a taxi at the end of your stay, a reservation at Nun Spa, just ask !!! They have hearts as big as Assisi itself. They also serve you abundant buffet breakfasts and home made all-you-can-eat dinners. Vegan, gluten free are all options here ! 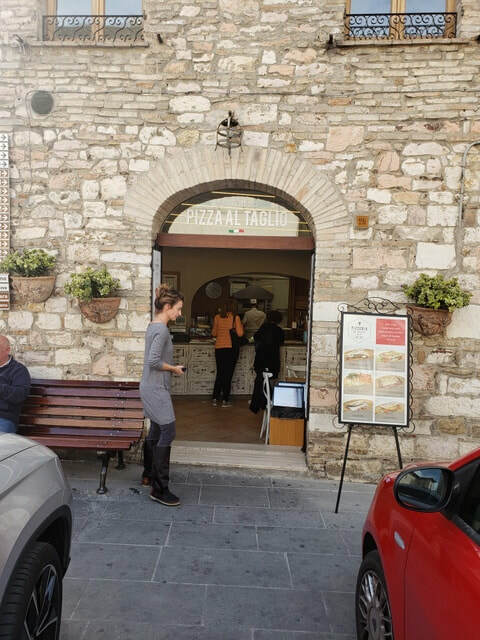 Their central location allows guests to walk to all corners of Assisi within about 15 minutes !! Upon your arrival you will be given your Assisi Retreat welcoming folder that includes inspiring writings for your retreat. During orientation at 5 the first day, you will also be given Bruce Davis' book, Simple Peace, the inner life of St Francis (shown here). Plus a hand drawn map that will show you all of our special eating corners in Assisi, that you can find during your personal free time. You will be served abundant buffet breakfasts and home made all you can eat dinners each day. Vegan, gluten free are all options here ! Ask for exactly what you need. They are your family while you are there. Lunch is on your own with amazing family owned restaurants throughout the town. Our Assisi Map will help you to find our favorites. Each guest can have a private room with en suite bathroom. You can request additional nights for before or after your retreat during registration. Our meditation room is just off the courtyard garden in the Hotel. It is open all day for you to use for continued meditation or yoga practice. You have access to our yoga props, literature and quiet space between meditation sessions. This room is reserved exclusively for our retreat guests. Meditation is at 9 am, 3:30 pm and 7:30 pm, daily and includes quiet walks to sacred sites 4-6 times during the retreat. We lead heart centered meditation to feel the peace of Assisi all around us and the deep stillness within. We have created a beautiful meditative space where the grace of Assisi touches us deeply. 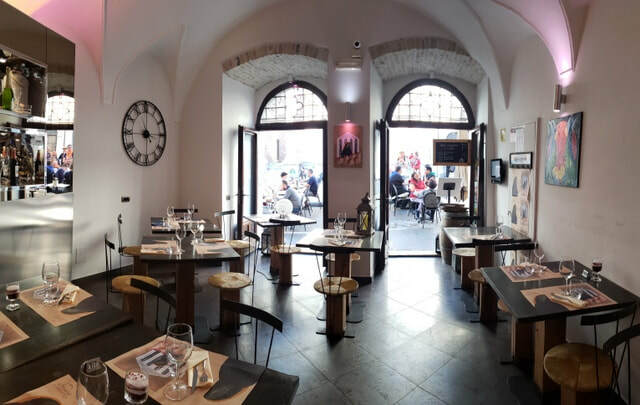 The boutique Hotel where you stay is located only 50 meters from Piazza del Comune and this fabulous restaurant. There are many family owned restaurants throughout the city, with all types of amazing food choices. Our map indicates our favorites. This is restaurant "Il Tempio di Minerva" directly across from the Minerva Temple. This is one of many of their yummy salads, similar to many other restaurants throughout the town. 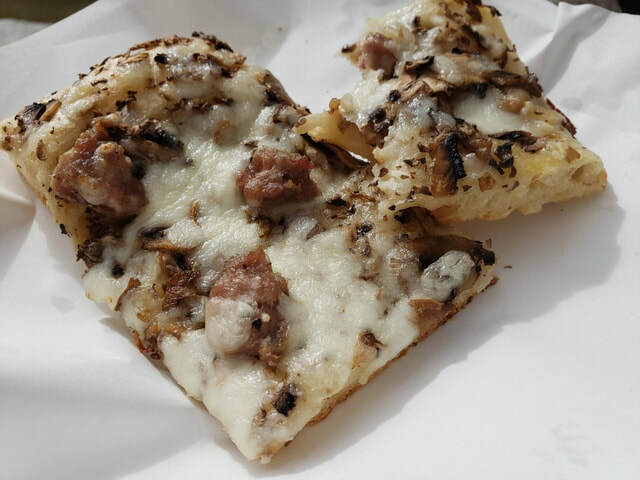 One of our most favorite fun eateries is found on Piazza San Rufino. They have literally the best sliced pizza in the world !!! 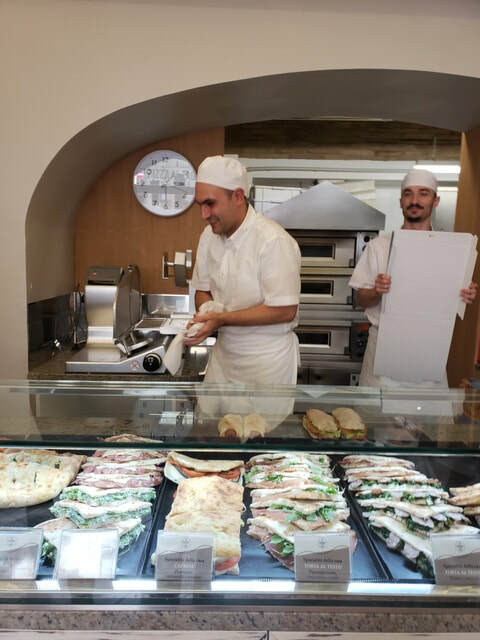 Meet our friends and your Assisi happy homemade pizza place. Many evenings we will join as a group to end with a meditation or eat our dinner, on this beautiful terrace with breathtaking views, overlooking the gentle valley below Assisi. Every corner in Assisi brings joy to the heart. Ending the day you can walk the gentle quiet streets of the town. Here you can see the entrance of the Hotel and only steps away the tower of the ancient temple Minerva.